SQL Server Management Studio gives you an authoring environment for all types of queries. 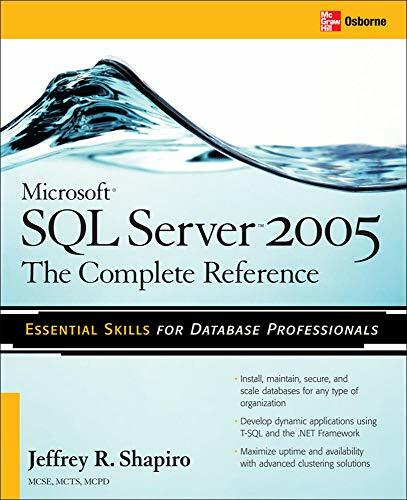 Read more in this excerpt from SQL Server 2005: A Beginner's Guide. In the previous section we described the capabilities of SQL Server Management Studio, which concern management tasks. Beside these, SQL Server Management Studio gives you a complete authoring environment for all types of queries in SQL Server. You can create, save, load, and edit queries that execute SQL Server and other queries. SQL Server Management Studio allows you to work on queries without being connected to a particular SQL Server instance. This tool also gives you the option of developing your queries in a particular environment, where you can associate your queries with projects. The authoring capability in SQL Server is associated with the Query Editor window of SQL Server Management Studio. If you want to launch the Query Editor window, click the New Query button in the toolbar of SQL Server Management Studio. The Query Editor window appears. Once you open the Query Editor window, the status bar at the bottom of the window will tell you whether your query is in a connected or disconnected state. If you are not connected automatically to the server, the Connect to SQL Server dialog box appears, where you can type the name of the database server to which you want to connect and select the authentication mode. NOTE: In this chapter we will discuss the first two topics, while the other two will be explained in detail in Chapters 9 and 22. Query Editor contains an internal text editor and a selection of buttons in its toolbar. The main window is divided into a query pane (upper) and a results pane (lower). (See Figure 2-11.) Users enter the Transact-SQL statements (queries) that they want to execute into the query pane, and after SQL Server has processed the queries, the output is displayed in the results pane. The following example will show you how queries are entered and processed by SQL Server. If you type the two Transact-SQL statements shown in Figure 2-11, click the Query button in the Query Editor's toolbar and select Execute or click F5. The results of these statements will be shown in the results pane of Query Editor. NOTE: You can open several different windows—that is, several different connections to one or more SQL Server instances. You create new connections by clicking the New Query button in the toolbar. NOTE: The first statement in Figure 2-11, USE, specifies the AdventureWorks database as the current database. The second statement, SELECT, displays all the rows of the Customer table, which belongs to this database. There is also the context-sensitive help function called Dynamic Help that allows you to get help on a particular statement. If you do not know the syntax of a statement, just highlight that statement in the editor and select the Dynamic Help function on the Help menu. You can also highlight options of different SQL statements to get the corresponding text from Books Online. Query editing in SQL Server Management Studio is solution-based. If you start a blank query using the New Query button, it will still be based on a blank solution. You can see this by choosing Solution Explorer from the View menu, right after opening your blank query. A solution can have zero, one, or more projects associated with it. If you want to associate a project with the solution, close your blank solution, Solution Explorer, and the Query Editor window, and start a new project by clicking on the File Menu and selecting New and then Project. The project is a method of organizing files in a selected location. You can choose a name for the project and select its location on disk. When you create a new project, by default you will start a new solution. You can add a project to an existing solution using the Solution Explorer component. Once the new project and solution are created, Solution Explorer will show nodes in each project for Connections, Queries, and Miscellaneous files. SQL Server Management Studio supports version control using the integration with MS Visual Source Safe. As we already stated, Solution Explorer allows you to organize and store related scripts as parts of a project. These script files can be checked in and out of the version control system directly from Solution Explorer.